To print in campus computer labs, you’ll want to use your EdPass. Your EdPass is loaded with $1.25 in complimentary printing each quarter, and then it costs $.05 per black and white page and $.15 per color page to print after that. You can reload your EdPass at kiosks near the computer labs (cash only) or at the Cashier’s Office. COLOR PRINTING now available in the Library! Find out how to get one in the EdPass office. It’s free. How many free pages do I get? Use your EdPass to print and you’ll get $1.25 in complimentary printing each quarter. Note: There are no rollover pages. The free pages loaded on to your EdPass are for that quarter only. If you don’t have an EdPass, you can buy a community card at one of the kiosks and use it to print. But, you only get free pages with an EdPass. Use the community card to print and buy things on campus (at the College Store and Triton Espresso, for example). Treat the card like cash — there’s no replacement if it’s lost, damaged, or stolen. 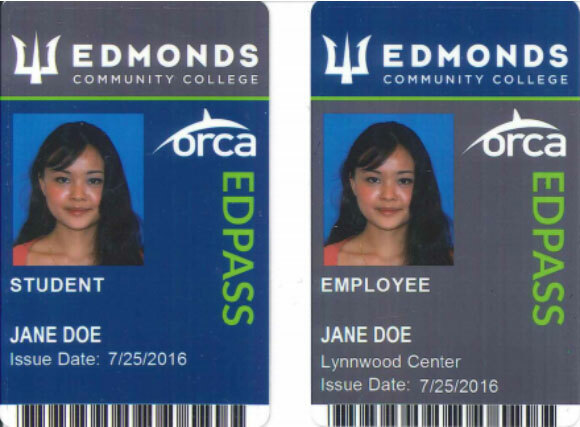 However, the card expires after 24 months of inactivity — any unused balance will be donated to the Edmonds Community College Foundation. Swipe the card at any print station or kiosk to check the balance. You may add funds to the community card. However, keep the amounts fairly low in case it gets lost. The card may only be used for purchases and is not redeemable for cash. See the complete list of terms and conditions here. The $.05 per black and white page and $.15 per color page fee covers the costs of paper, toner, printer maintenance, replacement printers, and other printing equipment. No, these costs aren’t covered by your student technology fees, which pay for many one-time technology investments, and partially fund computer lab support and lab maintenance, operation, and equipment. Think it will be too expensive to print? Prior to Edmonds CC’s pay-for-print system, the average person printed 84 pages per quarter. Under the pay-for-print system if you use your EdPass, you will get $1.25 in complimentary printing (equal to 25 black and white pages) to use for each quarter. If you use your EdPass, and print 25 pages or less, you will not pay for printing! If you use your EdPass, and print 50 pages or less, you will pay $1.25 or less. If you use your EdPass, and print 100 pages or less, you will pay $ 3.75 or less. If money is tight and you feel you cannot afford to print what is needed for your classes, we can help by providing more free pages! Please come to the labs in Alderwood Hall at least a week before you feel you might run out of free pages on your EdPass. You will need to fill out a form to request the number of pages you feel you need in order to complete your class work for the remainder of the quarter. Once the completed form is returned to us we will be able to add up to $10 in free printing to your EdPass within 2 business days. We’re committed to thinking, teaching, and living green — and reducing the number of pages we print! Learn about the college’s sustainability initiative at Sustainability (full URL: www.edcc.edu/sustain).